Day 4 of my Blogging 101 class: Publish a post you’d like your ideal audience member to read, and include a new-to-you element in it. Okay ideal audience member…quick, what’s this worm? You don’t know? Really? What kind of an audience member are you? One of Steinbeck’s lines from The Log From the Sea of Cortez pretty much sums up how I want theoutershores to be, in the eyes of its readers. All things are one thing and one thing is all things… It is advisable to look from the tide pool to the stars and then back to the tide pool again. Connectedness is a core value of theoutershores, and there is no ideal audience member. We’re all in this together, and everybody’s making unique contributions. 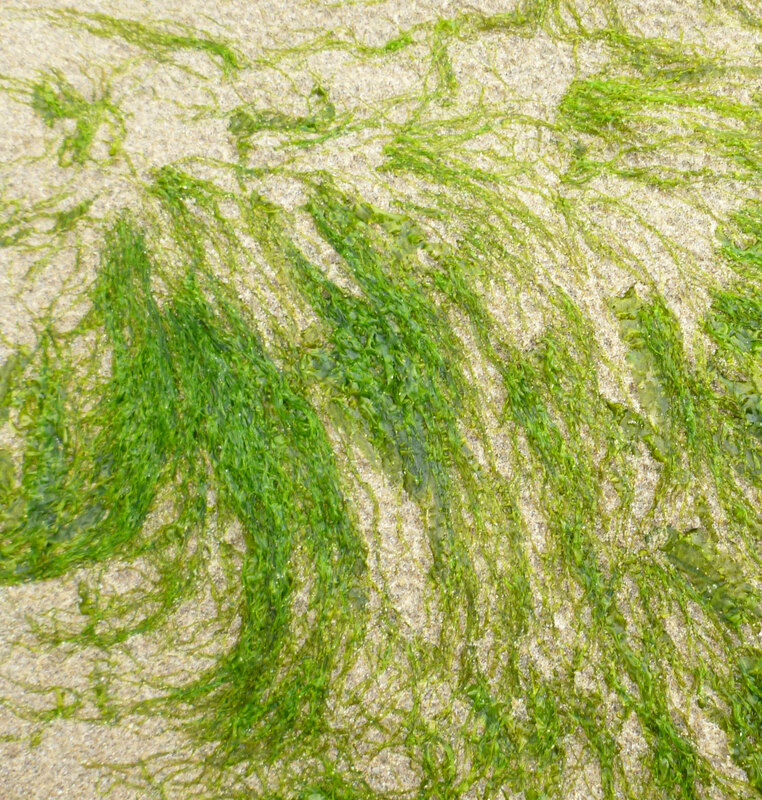 Do you know what this intertidal marine alga is? I know it’s a green alga. Can you tell me more? Probably not, and guess what; you’re not alone. Lot’s of times, there are no answers to my questions and so, instead of getting frustrated, I sketch. 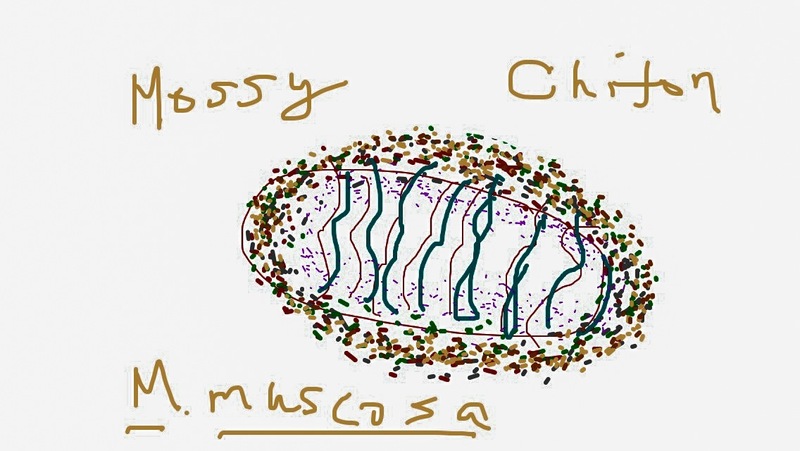 Do you think you know your chitons? I don’t know, specifically, which chiton it is. If by chance, you do, please drop me a line. I guess my ideal audience member would be somebody who thinks this image is pretty cool. I think that all of your pictures are interesting. There is a lot going on in them. At first glance, I thought that the annelid was Nereis virens (or something similar) but the more that I look at it, the less sure I am. I found a really good source at one point for identifying annelids off from the Pacific coast of North America, but I can’t find it now. When I read through a lot of the descriptions, it appears that the major distinguishing features are are not very distinguishing. In other words, they all look really similarly. I’ve got nothing on that algae. Nothing. 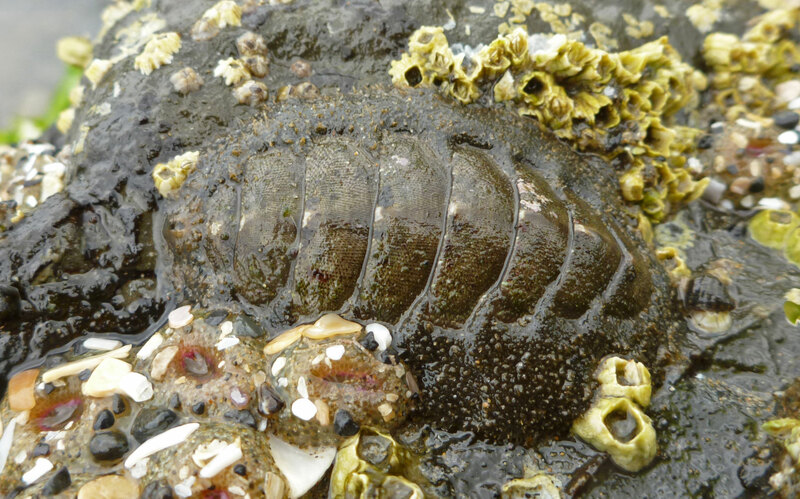 As far as the Chiton is concerned, I think that it is Mopalia hindsii. Stepping through a key on wallawalla.edu lists this as the most likely candidate. 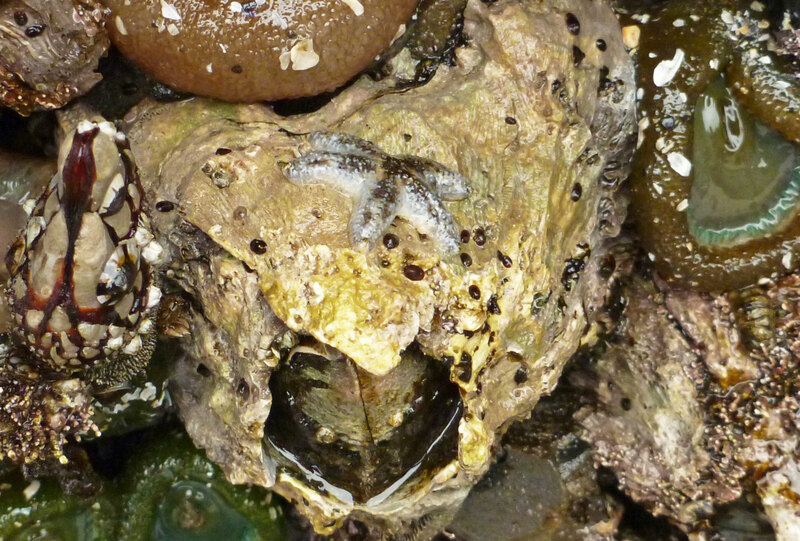 “I’m going to eat you!” said the seastar to barnacle. “In going to eat you!” That’s so funny. I’m not going to be able to get that out of my head for a long time. Thanks for the laugh. On the worm, a couple folks suggested Glycera, but you’re right, the characters are tough with just a photo – even with a specimen in hand, it’s tough. Thanks for the tip on the Moplia. I’ll check that wallawalla site. I appreciate the tip. And, thanks for the compliment on the photos; there is a lot going on. The list of things I didn’t see in wild, but only noticed later in a photo later, is long. The worm is EEEEW! Is that his name? Haha! I don’t know his name (perhaps a bloodworm). Maybe someday an expert will identify it for me. If that happens I’ll be sure to let you know. Thanks! Now maybe I’ll have the confidence keep at it. Sketching in the iPhone is a challenge, so I better get practicing.